'A' is for 'Altdorf'... learn about the many provinces of the Empire! They're looking great! 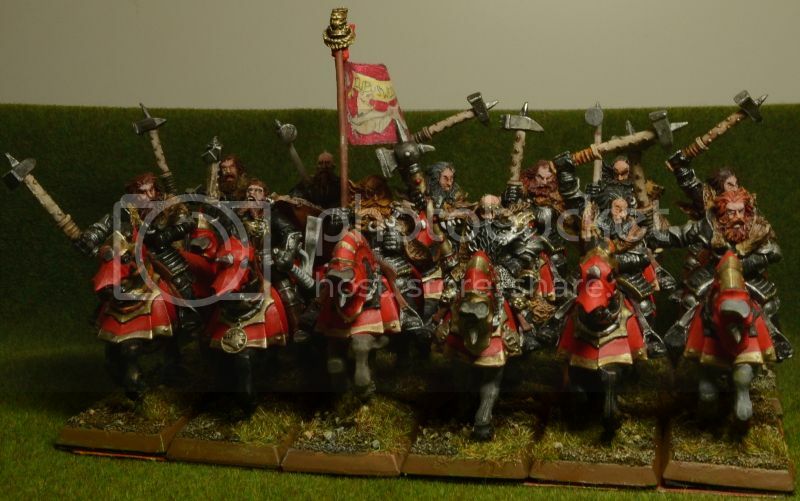 I love your halberdiers! The addition of your Ogre mercs gives them such nice diversity! I'll be checking back to see your progress! Keep it up! You're showing impressive perseverance, and every unit is look great. If you keep that up for all 920 models, I'll be very impressed. Thanks. Please do come back and comment. It helps me to keep going. Thanks. I am quite happy with the quality of my output. Decent enough for the tabletop. Quantity is the issue. It's best not to project out how long it would take me to finish off the army at my current pace. Try as I might, these end up being ~monthly updates. It is what it is. Today we are doing flagellants! The mighty "Mad Men of the Drakwald" come to Volganof's defence. This is a wild mix of flagellants of every shape and form. 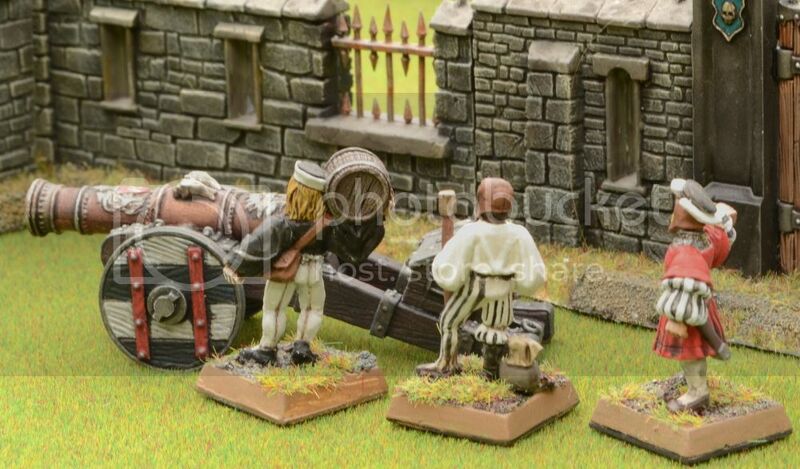 A good opportunity to look at GW flagellants through the ages, don’t you think? From left to right: 4th edition, Mordheim, 6th edition and current plastics. In my humble opinion it takes seriously rose-tinted glasses to explain away giant hands and feet and heads and eyebrows (!) of the two on the left as ‘characterful’. The 6th edition metals are my favorites. Really nice poses too, but hard to convert. The current plastics are a close second...as long as one cuts down the comically over-sized weapons. (and they allow easy kit-bashing, important to avoid the clone trooper-effect in a unit of 50). I did come up with a little unit filler. Presumably the goblin figured out that yelling ‘Sigmar protect me’ keeps him alive. A sneak peak of what is currently on my paint table. I scored a nice big haul of classic spears+halberds and have started working on those. Great work on those Flagellants! Nice comparisons too, the 6th ed guys are my favorities also. 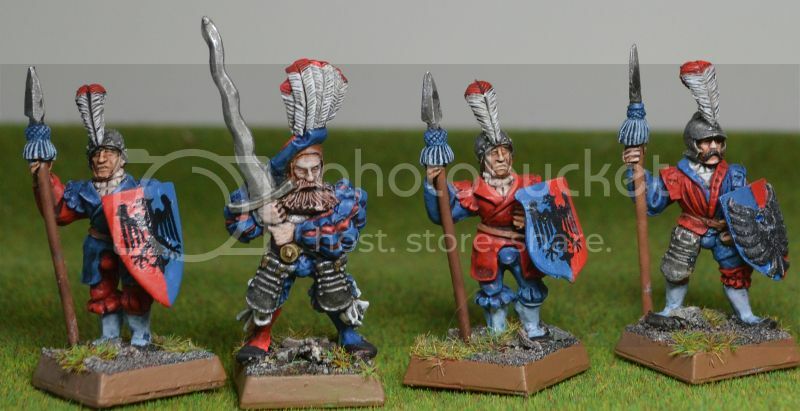 Eager to see what you do with those classic 4th ed Halberdiers and Spearmen. Simulation over gaming. Because fantasy matters. "Fight your foes in the field, nor be burnt in your house!" 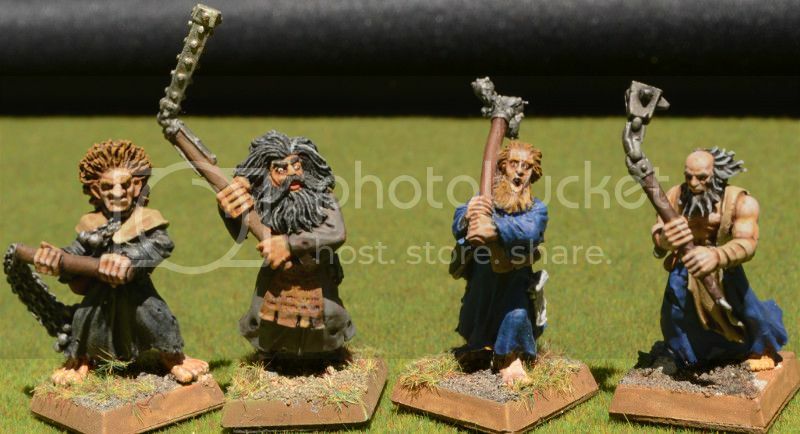 Nice Flagellants. I have a whole bunch of the 6th ed ones to paint - lack of variety of poses but intermixed with the plastics I think that'll be okay. Never think about how long a project will take! You will always underestimate, and it will always be depressing! 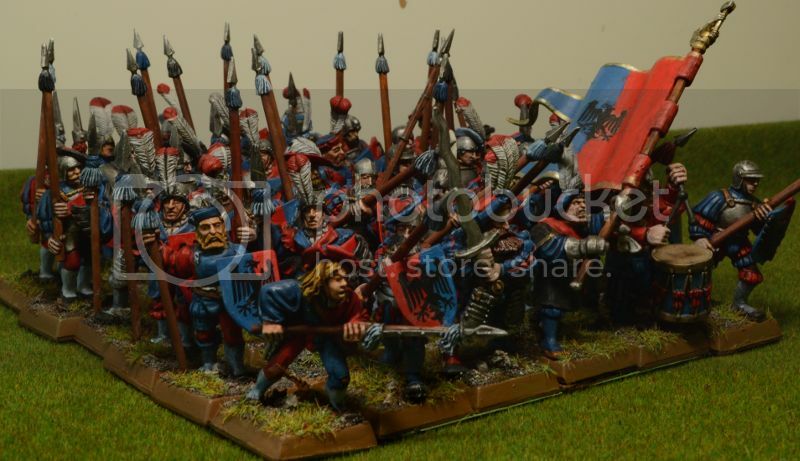 My Middenheim army is around 600 models and... just don't ask how long! Thanks for the comments, guys! It great to see somebody is looking this army. And now, update time! For starters, here is a plethora of priests. I may have mentioned that the second generation of Sigmar priests isn’t my favorite. But, these two will whip up the hatred in their units just fine. That shield on the left with a two-tailed comet was sent to me across the ocean by the generous daniel36, Big THANK YOU. …and then I fail to take a proper picture, how embarrassing is that? 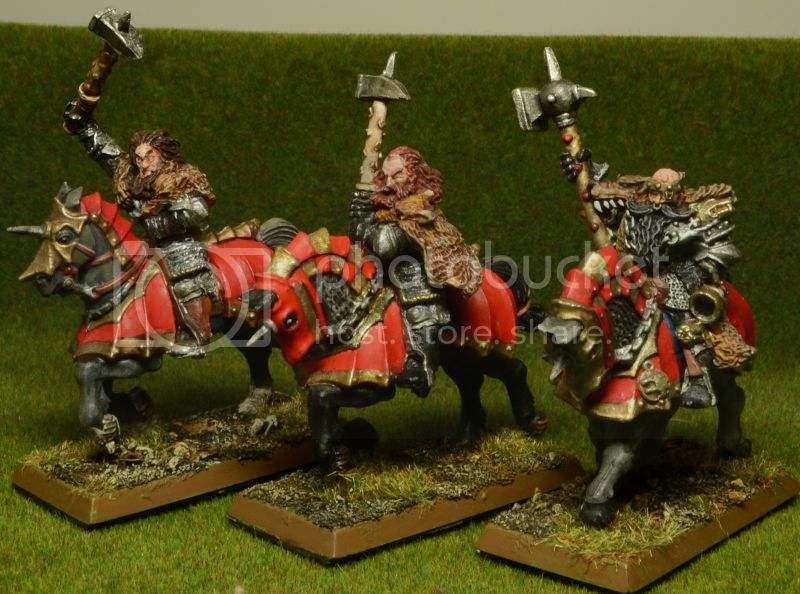 The Ulric priest in the middle I really like. However until I painted him, I didn’t realize his technical flaws (e.g. fingers trailing of into eternity under the book; undefined ‘detail’ on the underside of the right arm, etc.). I suppose this is due to the state of technology in single piece metals back when he came out. For me it was a reminder of how far GW has come. 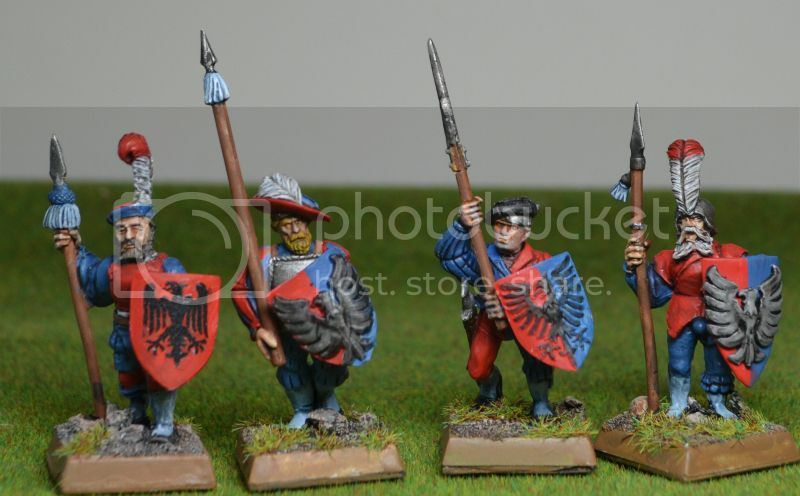 Finally, here are some Knights of the White Wolf, also from my stash and painted a few years ago. I’ve decided there must be a chapter house in Volganof for they will be part of the main army, not the relief force. Really great models, in particular the faces (not that my painting does them justice, I might be able to bring out the details some more now that I have a better handle on washes and highlights). That’s it for today…and this month at the very least. I am heading to the old country for a few weeks so updates will be even slower than you may have come to expect. Good job on the White Wolves. Mixing old and new models seems to work out! Actually, I don't think the plastic white wolves are all that bad. It's mostly the terribly stiff'n'straight fur coat that bothers me....and I don't have the skills to come up with something better. Suggestions anyone? What I dislike most about the plastic White Wolves is the arms. Those sleeves just don't look like plate armor to me. The stiff coats are also bad. What I did for my plastic White Wolves is to add a bit of green stuff to their body's (tightly wrapping it around) and then a second layer of green stuff where I'd sculpt fur into it. 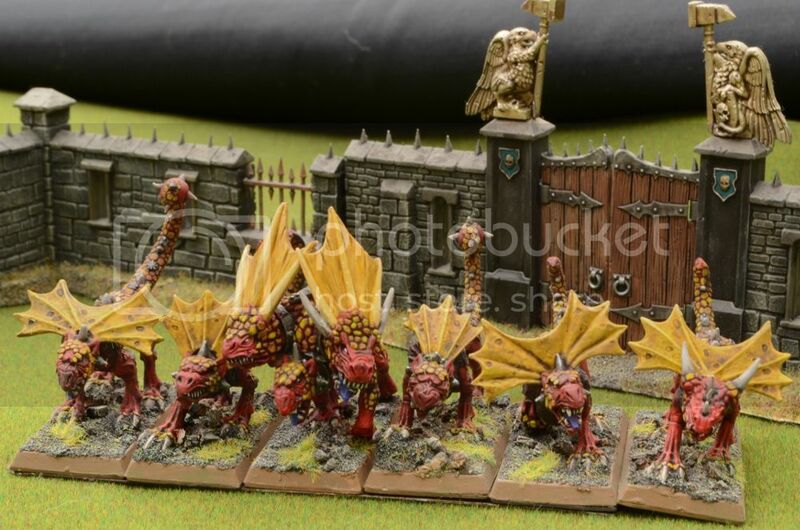 That makes them look fairly close to the original metal ones. Unfortunately I don't have a picture of mine as they are mostly WIP right now but other people have done that, too. Well. It’s been a while. Between work and travel and travel for work I haven’t been painting as much lately. 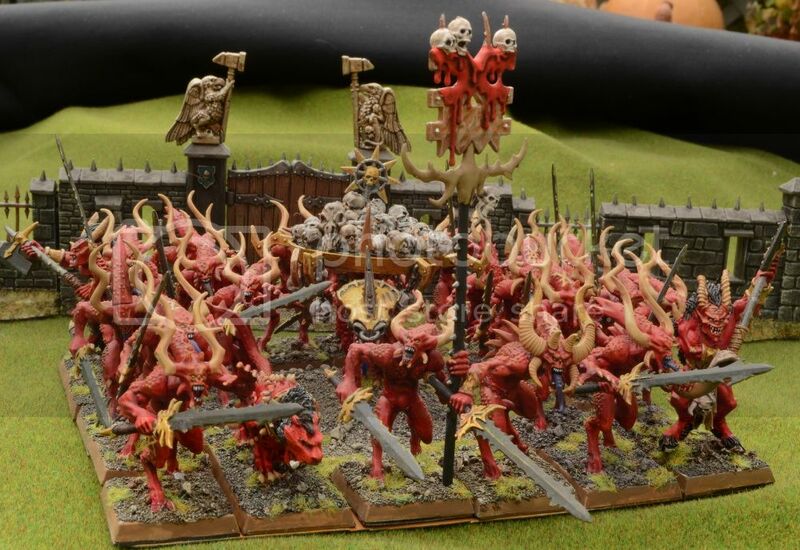 Also looks like GW in the meantime created a Sigmarworld full of Sigmarines clad in Sigmarite. As you may be able to guess from this project log, I am not into skirmish games and that’s the end of that. Luckily, a critical mass of people is staying the square-based course in my little corner of the world so my gaming hasn’t been affected. In fact, some of the more tournament-focused guys around here have loosened up a little and are now more open to house rules and scenarios. So, all is well so far. I will keep going with this log for now, it’ll look a little out of place between Sigmarines and Aelfs but maybe there is still some interested in the world-that-was. 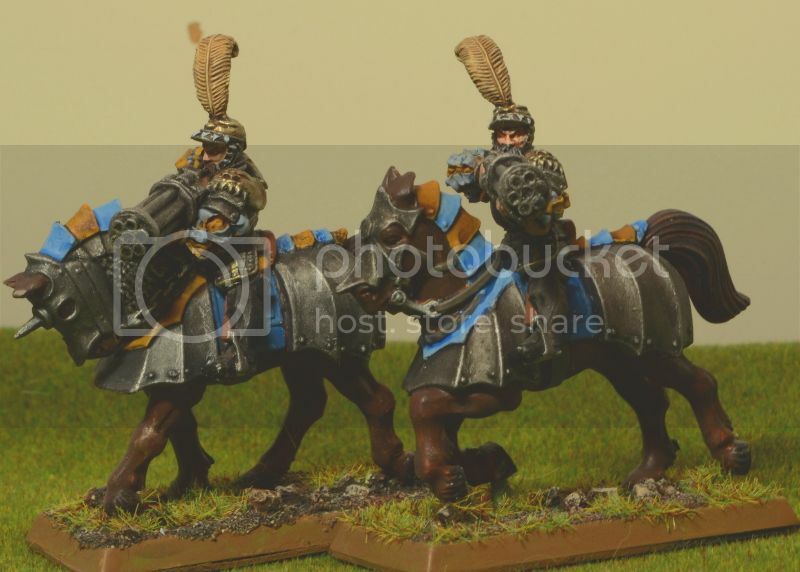 Right, so the main focus today is this block of Spearmen. 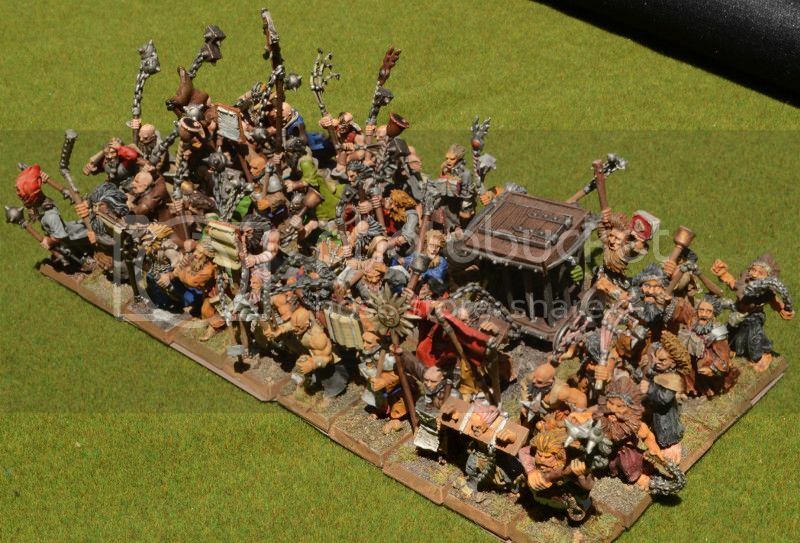 It's the last unit of the Altlangen contingent (the poor sods that start the game outside the walls). Part of that unit I painted a long time ago and now I touched these up plus added models to bring it up to a decent 8ed unit size. 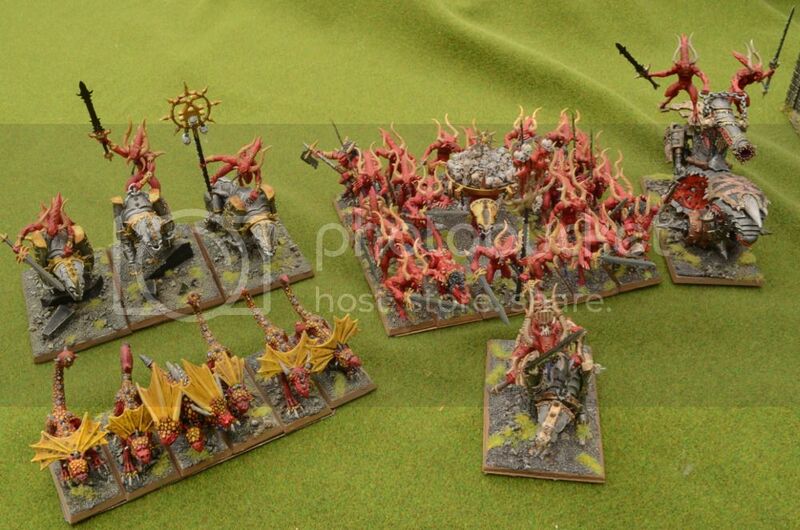 Was kind of interesting to dig up the old models and look at the questionable painting choices I made back then (e.g. white drybrushing the whole model. Shudder. No, I didn’t take pictures, the past is in the past). 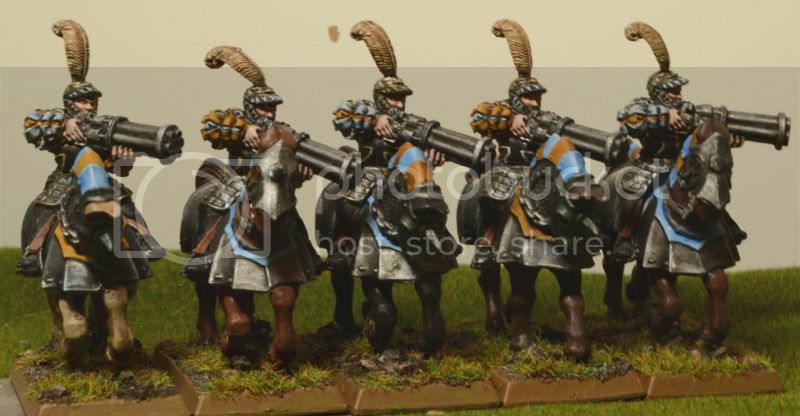 It’s a mix of 3rd + 6th edition Spearmen. They go quite well together, unfortunately I ran out of eagle shield transfers so had to make do with the plastic version. Here are two close-ups. I also finished five more Reiksguard…no picture, they look as before. Really, who is keeping track. Actually, I am! Fifty of the ninety done now. Stop chuckling! Basically, we are getting our feet wet with these Hirst Art Blocks (well, mostly hands. It is a bit messy). I have seen quite a few logs use these and was expecting this mold making outfit to be some kind of multi-national corporation. Turns out it is one guy, living the dream from his kitchen. But, it’s a great product. The molds work as advertised, I can highly recommend it. At this point I aim for building a little hovel to gain some experience before we launch into titanic towers and walls. Rome wasn’t built in a day and neither will Volganof. You're planning to make the entire castle out of Hirst Arts blocks? Man, that sounds like a serious labour of love all on its own. Good progress again, even if the updates are not always hot on each other's heels. At least you're still making progress. 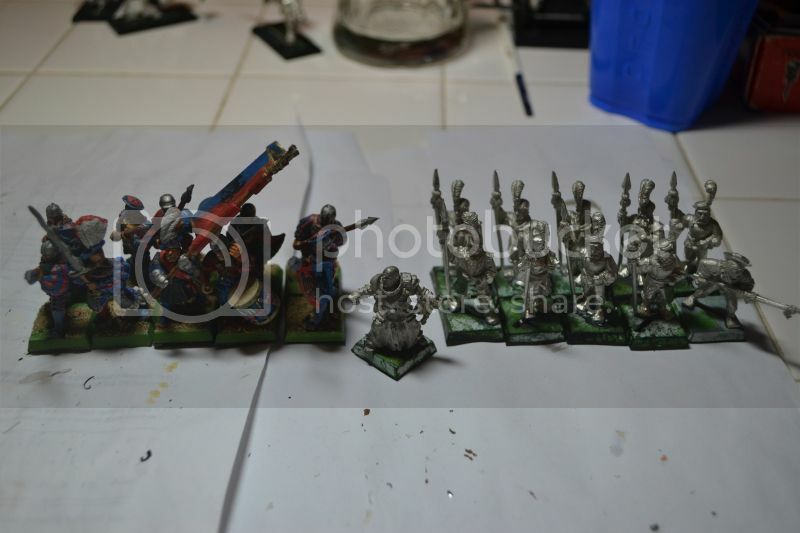 590 painted models is a lot of troops. It was only after I did all my White Wolf Knights that I discovered Instant Mold and got over my fear of green stuff. Which is a pity, because they would look much better with some mass produced cloaks like I later did for my Knights Panther. 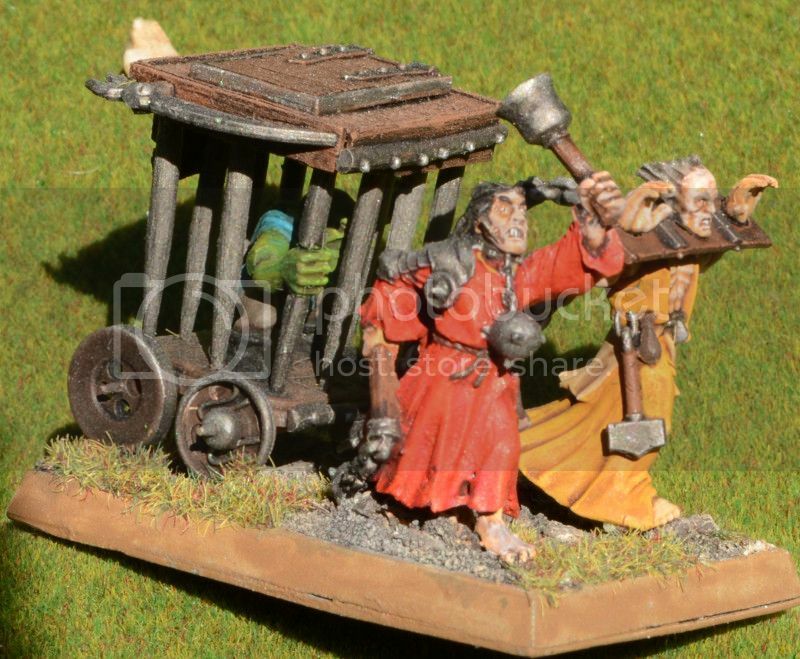 This, sir, is the single most hobby inspiring thing I've seen. Ever. Well, that autumn themed Averland army was really nice, too. And Chumley Warner's plog. But, I have a goal to paint 1,000 state troops. This makes me feel less crazy. Magnificent! The castle is fantastic!! 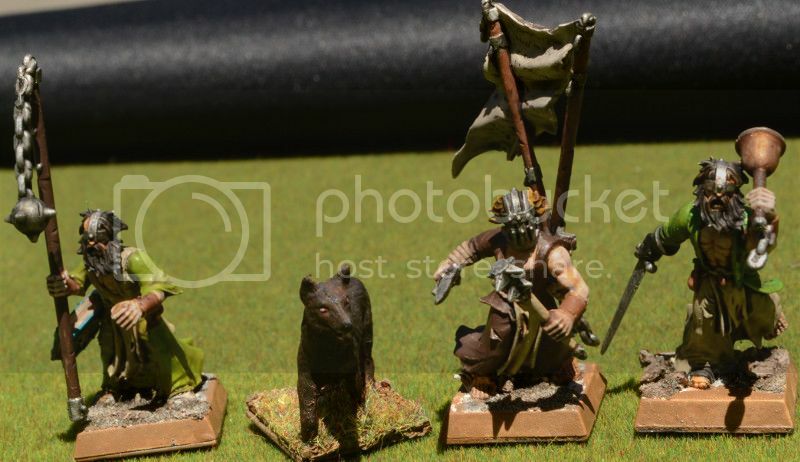 "Dressing a bear in fine silks does not make it civilised, though in the city of Kislev it could pass at court." Good luck with the Hirst stuff! You are right - they are great things indeed. But HEAVY! 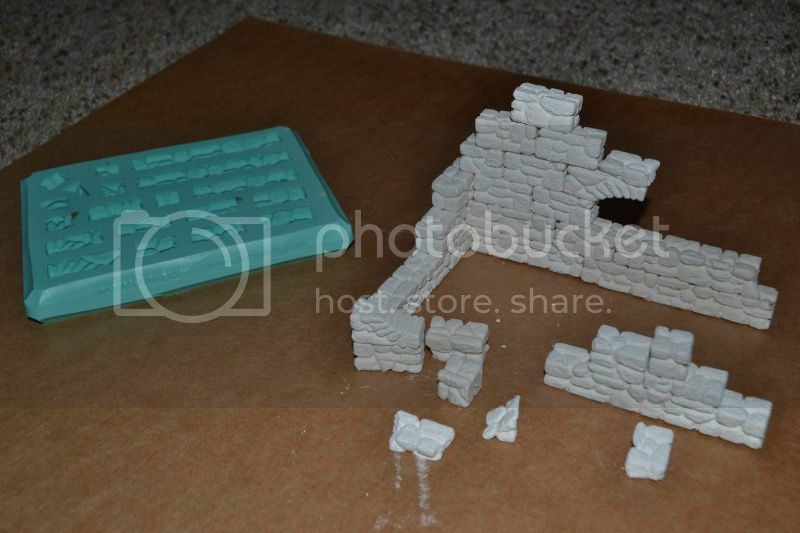 Plan carefully - you can probably make a lot of the internal walls from foamcore which will make it easier and lighter. Everyone finds their balance between satisfaction and obsession. Love is what we are all about. 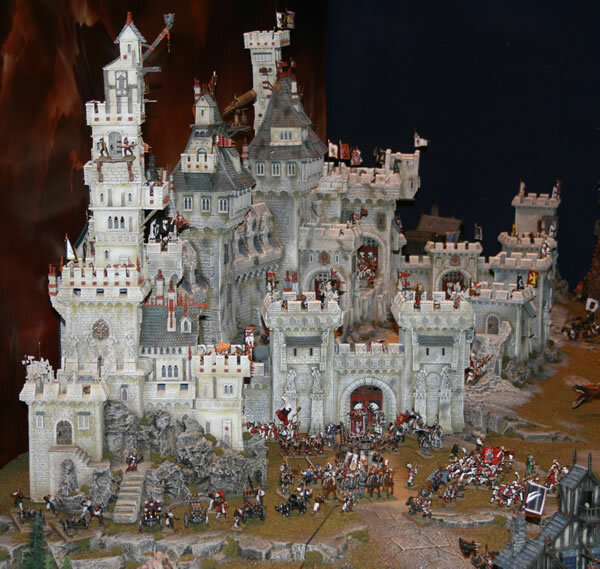 We do have two GW castle sets and a couple of plastic watchtowers and who knows what goodies we can bag in the future. But yes, considering that the battle is about control of the gates and the courtyard we do want to put serious effort into it. Let's see how far we can push that towards the indeed fantastic GW version. That's an interesting point I didn't consider so far. We want to build this to be modular to some extent so it's usable for other games (and also doesn't need its own room for storage). So each piece should be a manageable weight. I suppose we need to make sure the bottom parts are sturdy enough. And planning it so it looks more or less seamless will be key. I don't think I am halfway to the 1,000 state troops. But, I approve of your manly goals! Thanks everyone for the comments. Makes it a lot more fun for me. Well, in this update we are back to heretical things for the most part. 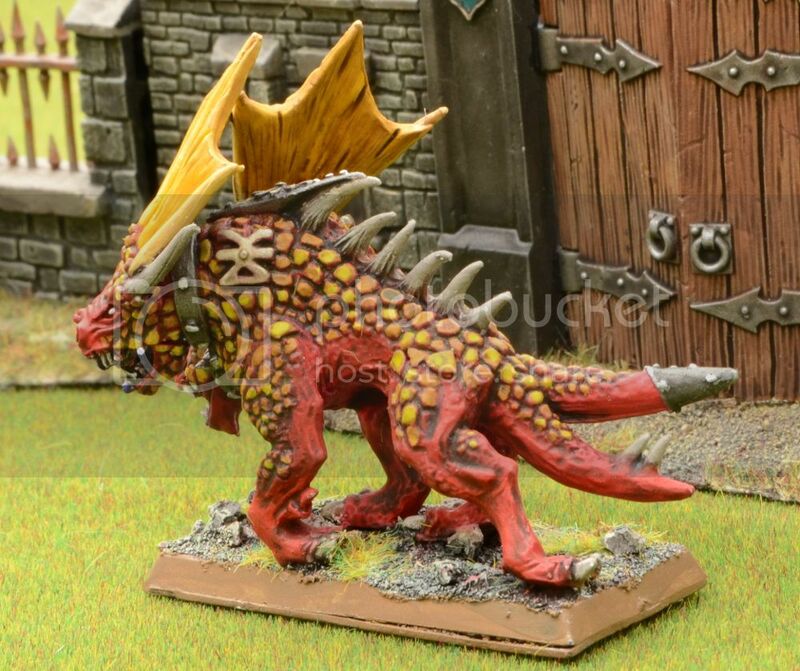 I present to you angry Fleshounds of Khorne (from a few generations back). I didn’t want to do the classic neon-green for the frills, and waffled around for a bit trying to find the right color. Happy with the end result. Age-appropriately, these models do have some terrible gaps and badly sculpted areas but, overall I like their pose and how they slink along. Menacing in a way. Also, who could say no to spiked club tails! Here is the big dog himself, Karanak. Obviously a different generation but the paint job helps to tie them together. I basically rescued him from the pound (i.e. flea market). One of his loose legs didn’t fit and required extensive reconstructive surgery, one head was missing so I had to make do with a regular dog head. I recon he looks the part now though. 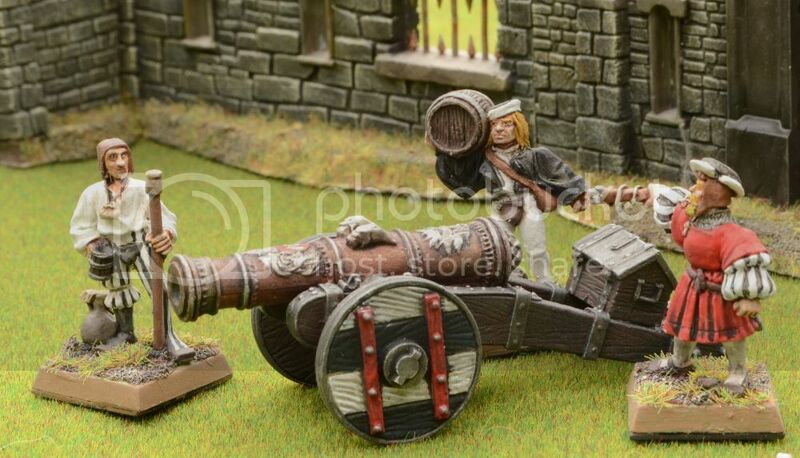 To end on a Sigmar-approved note, here is another cannon for the walls of Volganof. Only three more to go. And, is there maybe an expert on renaissance artillery in the audience who could tell me what the guy on the left has in his hand? Because it sure looks like a beer mug to me (I was tempted to sculpt some foam)? Upward and onward (albeit slowly)! Good work on the cannon! I'm painting that one right now, too. This is such fun to follow. Good look with the Hirst Arts, we've made some building before, and spent more time cleaning up afterwards than casting the moulds. Made habour wall and landing landing stage, only 5 bricks high, then foam board under the paved area, that was still some weight. Also think of storage before making some of the taller towers. 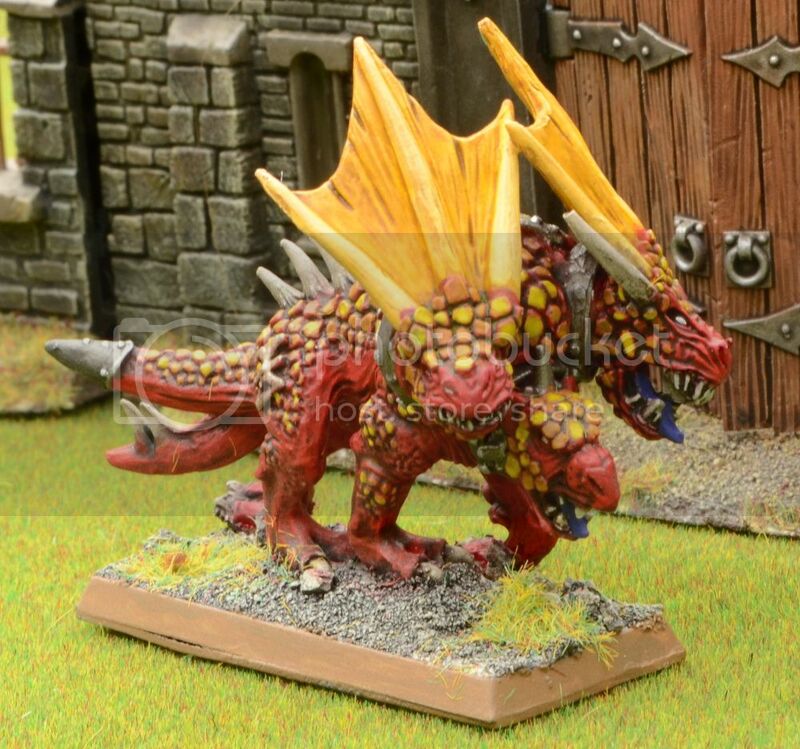 Consider your colours for the fleshhounds as pinched [please]. They are so nice. 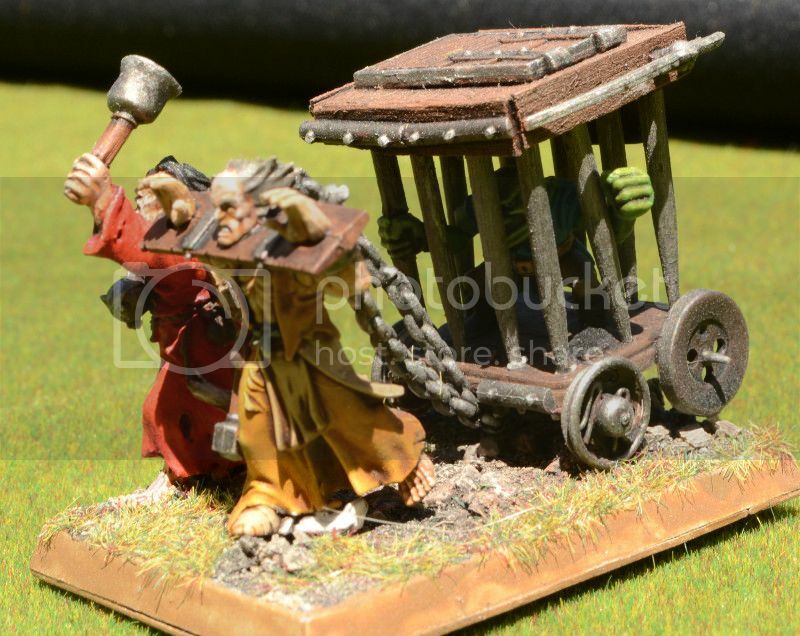 I like the very old flagellants, something homely about them. Nice work. Whatever repairs and replacements you had to make on Karanak are not apparent. And I think the yellow works really well. I enjoy reading your updates. Keep it up! "...I want milk in my Khorne flakes..."
on warseer someone suggested this 'mug' is a sort of measuring cup to get the right amount of black powder from the barrel (and then he goes on talking about the same long scoop like you to put the powder down the barrel). knowledgeable people all around, thanks! although I liked my beer mug idea. thanks. it is a classic. thanks! pinch all the colors you want. no progress on the hirst block front. but yes, boy is that messy. My partner-in-crime has recently moved up in the world and setup his own game room. I am a lot more motivated to put effort into the table now that the storage issue is solved. I am keeping at it for sure. Handgunners are next. By the way, I really enjoy your proper blog. It's not possible to comment there without yet another account and that hurdle was too high for me so far. But, I do read it and like both text and photos. So, keep it up yourself please! thanks! all your comments are very inspirational to me. it's fun to know somebody somewhere at the other end of the world looks at these little guys. 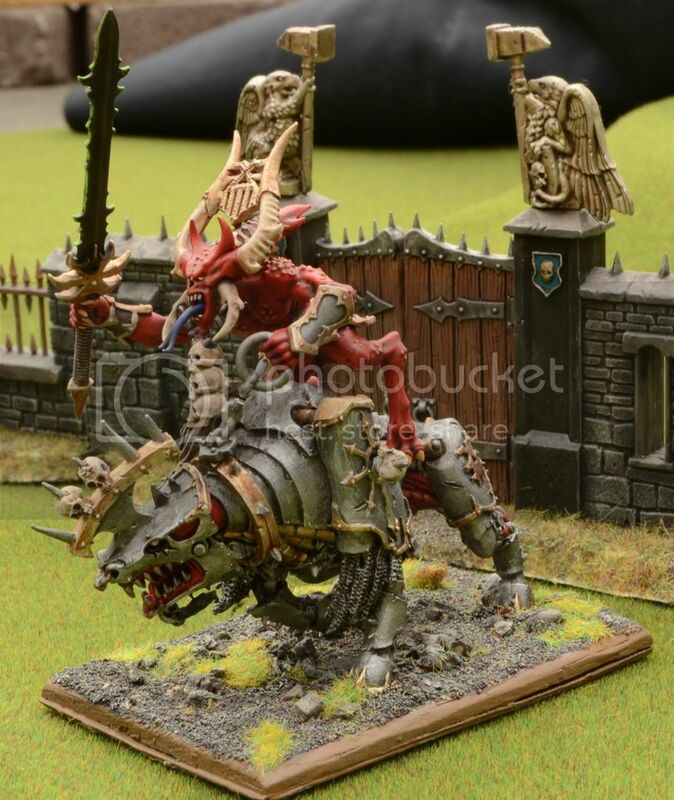 ..and on a final note, here are some bonus khorne pictures I took of older stuff as I was photographing the dogs. This is my little Khorne Demon gang, all frothing at the mouth and up to no good. Page created in 0.128 seconds with 25 queries.